The U.S. Department of State (“State”) released guidance on which FFLs need to register under ITAR. This is not a new law or rule – all “manufacturers” of certain products must register under ITAR. Instead, State is clarifying/defining the term “manufacturer” – here’s a hint: it’s not the same definition that the ATF uses. Yes, the different definitions matter! For example, there are different definitions of who is a resident of a certain state depending on who/what requires residency. In order to be a resident to vote, you may need to have shown that you just moved to the state. However, in order to get in-state resident tuition at a state college, you may need to have lived in the state for over a year. In both cases you need to be a resident, but the different definitions make a big difference. The same is true here. According to the ATF, you actually need to be making (assembling counts) a firearm in order to be a manufacturer. There’s a lot of nuance here that we won’t get into for this comparison’s purpose. According to State, if you manufacture ANY firearm part (among other activities), you are a manufacturer. These are VERY different standards. Someone who only makes triggers is not a manufacturer under the ATF but they are a manufacturer under State. 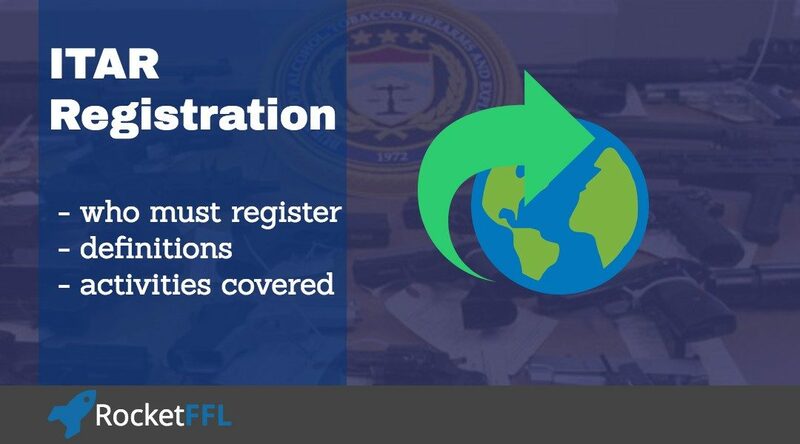 Therefore, no FFL would be needed but they would need to register under ITAR. 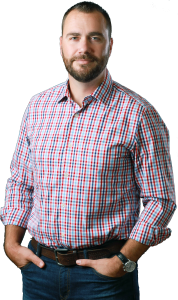 Who needs to register for ITAR? As we see above, it isn’t just FFLs who need to register for ITAR. The ITAR (International Traffic in Arms Regulations) are created by State to enforce the Arms Export Control Act (AECA). The branch of State that oversees ITAR is the Directorate of Defense Trade Controls (DDTC). On the ITAR, there is a list of controlled items called the United States Munitions List (USML). Any manufacturer of any item on the USML must register with the DDTC. Much more about this topic can be learned in our Export Compliance Course. If you’re interested in the cost of registration, see our article on FFL cost. 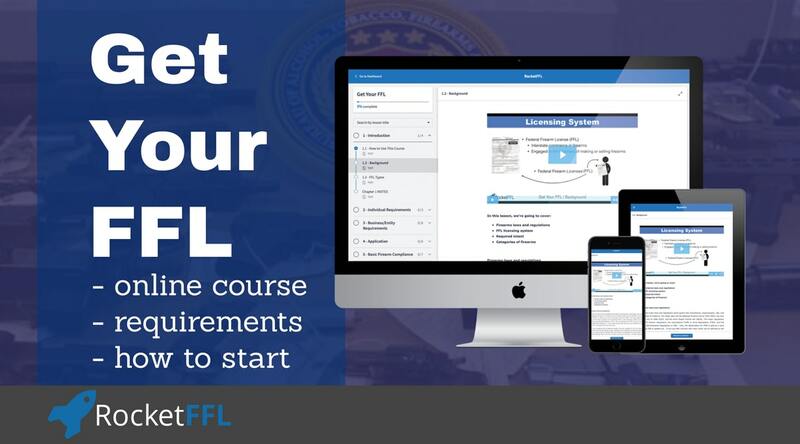 And, if you’d like to get your FFL, check out our Get Your FFL Course. Manual loading or reloading of ammunition of .50 caliber or smaller. The Directorate of Defense Trade Controls (DDTC) has reviewed and consolidated policy guidance about whether various activities related to firearms constitute manufacturing for International Traffic in Arms Regulations (ITAR) (22 CFR Parts 120-130) purposes and require registration with DDTC and payment of a registration fee. DDTC has found that many – but not all – traditional gunsmithing activities do not constitute manufacturing for ITAR purposes and, therefore, do not require registration with DDTC. The following guidance is confined to DDTC’s ITAR implementation. You must also comply with all other relevant laws. The Arms Export Control Act (AECA) (22 U.S.C. § 2751 et seq.) and the Gun Control Act (GCA) (18 U.S.C. § 921 et seq.) are two distinct U.S. laws that concern manufacturing of firearms. The GCA requires firearm manufacturers to obtain licenses as manufacturers (known as Federal Firearms Licenses (FFLs)) from the Department of Justice’s Bureau of Alcohol, Tobacco, Firearms and Explosives (ATF). The AECA, in relevant part, requires manufacturers of defense articles, including certain firearms, to register with the Department of State, Directorate of Defense Trade Controls. Because the GCA is intended to cover a broader scope of domestic activity than the AECA, the ATF regulations define the term “firearm” more broadly than the ITAR. As a result, not every firearm controlled by the ATF regulations is also controlled by the ITAR. ITAR registration is required of persons who engage in the business of manufacturing defense articles. Persons who do not actually manufacture ITAR-controlled firearms (including by engaging in the activities described below, which DDTC has found in specific cases to constitute manufacturing) need not register with DDTC – even if they have an FFL from ATF. As indicated above, the requirements for obtaining FFLs under the GCA are separate and distinct from the requirement under the AECA and ITAR to register with DDTC. The term “manufacturing” is not defined in the ITAR. In order to determine whether a firearms- related activity constitutes manufacturing for ITAR purposes, DDTC applies the ordinary, contemporary, common meaning of the term. Likewise, DDTC applies the ordinary, contemporary, common meaning for “gunsmithing,” which traditionally has broadly included designing, making, or repairing guns. Not all firearms (as defined by ATF regulation) are “defense articles” under the ITAR, however, and not all activities involving assembly of and repairs to firearms qualify as manufacturing for ITAR purposes. DDTC has found that many traditional gunsmithing activities do not constitute manufacturing for ITAR purposes and, therefore, do not require registration under the ITAR, particularly where such activities do not require cutting, drilling, or machining and do not improve the accuracy, caliber, or operation of the ITAR-controlled firearm beyond its original capabilities. The guidance below is limited to domestic (U.S.) activities involving firearms (as defined in Category I(j)(1) of the United States Munitions List (USML) (22 CFR § 121.1)) and related ammunition that are .50 caliber (12.7 mm) or smaller – i.e., firearms in Category I, paragraphs (a) and (b), related items in paragraphs (e)-(h), and ammunition in Category III(a) for those firearms. Activities involving items elsewhere on the USML, including Category I, paragraphs (c) and (d), are not included in the scope of this guidance. 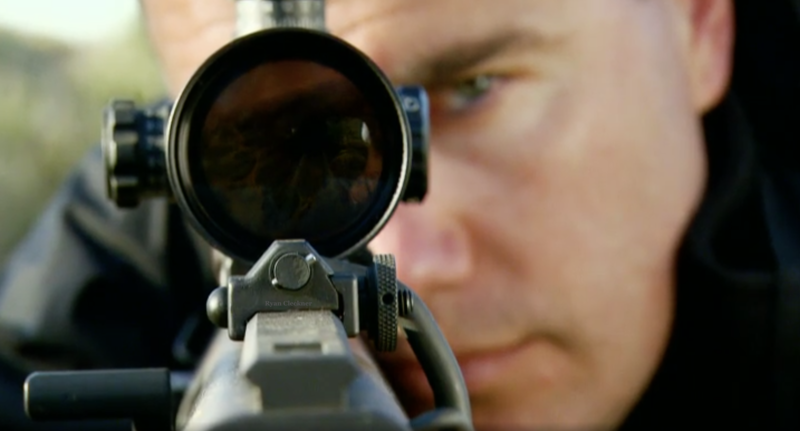 Activities limited to the domestic sale or resale of firearms, the occasional assembly of firearms without drilling, cutting, or machining, and/or specific gunsmithing activities that do not improve the accuracy, caliber, or operations of the firearm beyond its original capabilities (as described above) are not manufacturing within the context of the ITAR. If you are not manufacturing, exporting, temporarily importing or brokering defense articles or services, you are not required to register with DDTC. b) Exporting a firearm or any other item on the USML requires ITAR registration with and authorization from DDTC. If, after careful review of this guidance, you are unsure as to whether you are required to register with DDTC, you may submit an advisory opinion request (see 22 CFR § 126.9) detailing exactly what you do or intend to do with regard to firearms and ammunition. This request should be sent in hard copy (services like UPS or FedEx recommended for faster delivery) as indicated on our website: http://pmddtc.state.gov/about/contact_information.html. If you have any general follow-on questions, please feel free to contact the Response Team at (202) 663-1282 or DDTCResponseTeam@state.gov.